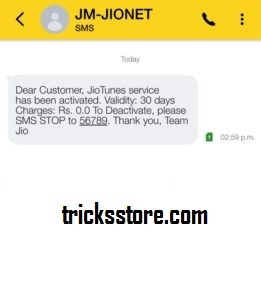 How to get free caller tune in reliance Jio – Hello Friends, Hope you are well and enjoying Our Free Recharge Tricks And Unlimited Cashback Coupons For Recharge. 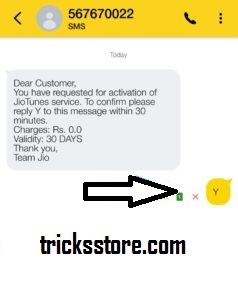 Here we are back with another awesome trick to activate free caller tune in jio. As earlier we enjoyed free jio data and calling in our mobile phone. Now Another free offer on jio sim is jio free callertune service. We know Reliance Jio very well and it’s free services along With its Premium Apps “Absolutely Free”. Now another free CallerTune Service started by jio. I want to inform you all that this jio free callertune is absolutely free for 30 Days. And After 30 Days you can we are going to tell you how you can Re-activate This jio Callertune Service on you jio sim. 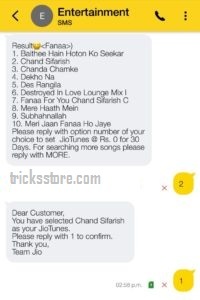 Just follow our how to activate callertune in Jio SIM Method. In this post, we added all the steps to Activate caller tune in JIO SIM for Free. 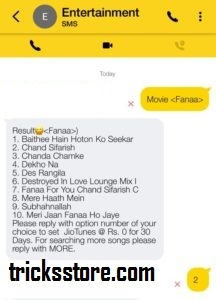 And you can Activate Caller tune And Set any favorite Song of Any movie For Free first 30 Days. For your ease we added all the steps with proof screenshot to Activate Free Callertune In Your Reliance JIO Sim, Just Follow the below given steps Carefully. As i already told to that this Is an Official Offer by jio so, don’t worried about it. 4. Now Just Select Any One Favorite Song with It’s Number and Send. Now Just Follow The Below given steps & you will definitely get your Free CallerTune In Jio SIM. In this trick, Only one JIO App Is needed named as Jio Music App, Just download Jio Music App In your phone and Follow the steps. 2. Now just Open The Music App & Login With Your JIO SIM Number Or With Your Jio Id & Password. 3. Now Search your Favorite Song Of Any Album Or Singer or movie. 4. Now You can see the 3 align DOTS Menu Below The “Song Cover Photo” >> Just Click On That. 5. It will Expand and in the Menu, you will see The “Set As Jio Tune Option” – Now Just Click On It. That’s It !! You Selected Your Free Favorite Song As Your Jio CallerTune. You will shortly receive an SMS from the company for your deactivation request.